We are a Rotherhithe rubbish clearance company who also offer office clearance services. We do this in the form of junk removal in order to help you to create vast spaces both at home and at work and make the environment feel calmer. If you think our waste removal SE16 services may be something that you are interested in, call us on 020 3540 8282 and see if Handy Rubbish can help you. 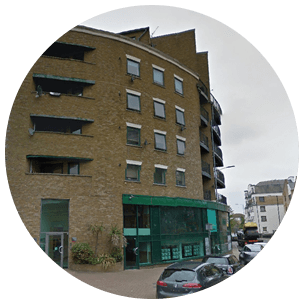 Whether you want help at home or at the office, our waste collection Rotherhithe team can help to give your building a big clear out. The main way of doing this is often through SE16 waste disposal in Rotherhithe, which really involves getting rid of any rubbish such as old paperwork, magazines or newspapers that you no longer want or need. Although this only sounds like a very small thing for us to do for you, it can be very beneficial as you will be impressed at the difference that this can make to your home or office, helping to create more space and make the room appear brighter and generally lighter too. Need Rubbish Removal Help in Rotherhithe? Contact Us Today! Another great option for both at home or in an office setting is rubbish disposal in Rotherhithe, SE16. This involves getting rid of old furniture in order to free up space in the room. Whether you are replacing this furniture with a more modern alternative or are simply looking to free up space, getting rid of old and unwanted furniture is a must. You may even be able to sell the furniture to make some money, and if not, you can donate it to a charity - another positive result of our clearance services. To see if Handy Rubbish could be useful in your home, call our rubbish removal SE16 professionals on 020 3540 8282 today. One service that we offer to advice and assist with is the removal of white goods. This is mainly in a home setting and it is amazing how much space an old, non-working appliance can take up. A white goods recycling is a great way to eliminate this problem, freeing up yet more space for you. Whether you’re clear out is at home or your work, skip hire and skip permits are always a necessity. These are not always easy to sort on your own, but with the help of our SE16 waste clearance company, these can be sorted out quickly and easily. They had some great offers in SE16 and I decided to take advantage of them! The rubbish disposal was efficient and fast. The best team of waste collectors in Rotherhithe! Rotherhithe can be found in the South East of London and is mainly a residential area. Set in the London Borough of Southwark, it is actually on a peninsula on the South Bank of the River Thames and helps to make up the Docklands. It is in the postcode district SE16 and is surrounded by places such as Southwark, Isle of Dogs, Stratford and West Norwood. The postcodes surrounding the area include SE1, E14, E15 and SE27. Due to its positioning, it is not surprising that Rotherhithe has a history as a port and dock, although these are less used nowadays. The docks have been redeveloped recently to add additional upmarket housing to the area in order more people to be able to live in the area. Not only the docks have been regenerated, however, as new restaurants and shopping areas are springing up all over Rotherhithe, helping to make it a vibrant area. Because of its history, Rotherhithe has plenty of attractions to visit including the Brunel Engine House, Finnish Church, Cuckold’s Point and Nelson Dock Pier. These help to set Rotherhithe apart.